CompTIA has launched certification exams for cloud computing called CompTIA Cloud Essentials exam (CLO-001). I recently appeared for the exam and I cleared it. CompTIA exam is very valuable to anybody trying to assess their understanding of what cloud computing is all about. This exam is truly unique as its vendor neutral and does not talk about a specific cloud offering. 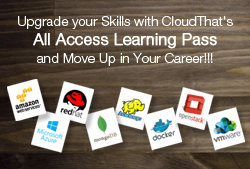 This certification is your first step to achieving the tag of being a “cloud guru”. Clearing this exam means that you understand the business requirements, technical requirements and the various limitations of the cloud environment. This exam is very important and increasingly relevant for any professional who wants to venture into cloud computing as a career option. Companies from startups to SMEs to big corporations like Netflix and Intuit are moving huge chunks of their infrastructure on the cloud. This makes this certification a valuable asset for any professional looking to distinguish themselves in this crowded market. The CompTIA Cloud Essentials exam (CLO-001) is designed for IT specialists, IT managers, business process owners and business analysts. The objective of the exam is to test you on the cloud computing concepts and principles, the technical requirements and the technical limitations for adopting cloud computing. It also tests your knowledge on using ITIL standards to adopt cloud computing. It is recommended that the candidates should have at least six months of working experience in an IT related service. CompTIA Cloud Essentials exam tests an individual’s knowledge cloud computing. It tests if an individual knows what cloud computing means and its impact on business and technical requirements. It also covers what is required to move your IT resources to cloud and what governs the cloud. The exam was developed by IT entrepreneurs in association with the Cloud Credential Council. It is a vendor neutral training on cloud computing. Companies such as IBM, Cisco, EMC, HP and ING have contributed to the development of this exam. The questions of this category are focused on your knowledge on various solutions that are available for cloud computing. It evaluates your understanding of what defines a service as a cloud service, the types of cloud services that are available in the market and the various deployment models. The questions try to evaluate if you understand what differentiates one model of cloud from that of another. You need to have a thorough understanding of what cloud computing entails. For example, you might be asked if a particular service is defined as SaaS, XaaS or IaaS. The questions in this category tests whether you are able to evaluate business situations which require cloud computing. You should be able to clearly define the type of businesses that can be migrated to cloud. You need to understand the impact of cloud on CAPEX and OPEX for a business. For example, you should be able to clearly understand the business needs of the organizations and the benefits of using cloud computing. This section deals with questions on the technical aspects of cloud computing. You should be able to define the need and the advantages of IT components such as network, storage and compute power used to form a cloud service. Also, you should be able to understand the limitations posed by these IT components. For example, you need to understand scenarios such as the effect of network outages in cloud and what type of storage should be used in private cloud. These questions do not deep dive into the technical implementations of cloud and is more high-level in nature. This section lists the sequential steps to be followed for adopting cloud. You should be able to clearly define the steps, the tasks performed in each step and the success criteria for each step. In this section, you are evaluated on your knowledge on ITIL and its implementation in cloud computing. The questions are usually simple and are focused on which process and what phase you would be in if you are doing a particular task. For example, you may be asked in what phase would be you be creating a Service Portfolio for your cloud service. Questions from this section evaluate your knowledge on the risks of using cloud computing and its impact on your business. For example, you might need to encrypt your data being transmitted to and from cloud. What are the risks involved in storing your data on cloud and how is the actualization of that risk going to affect your business. The questions asked are focused on your understanding of the risks associated with data integrity, data durability, data availability and so on. CloudThat is also launching a training around clearing this certification. If you are interested please fill out the inquiry form here and we will get back to you as soon as the course is released. Please share your views in comments below if you also took the certification exam, or if you have specific questions.